How many folks do you know who say they don’t want to drink anything before going to bed because they’ll have to get up during the night. 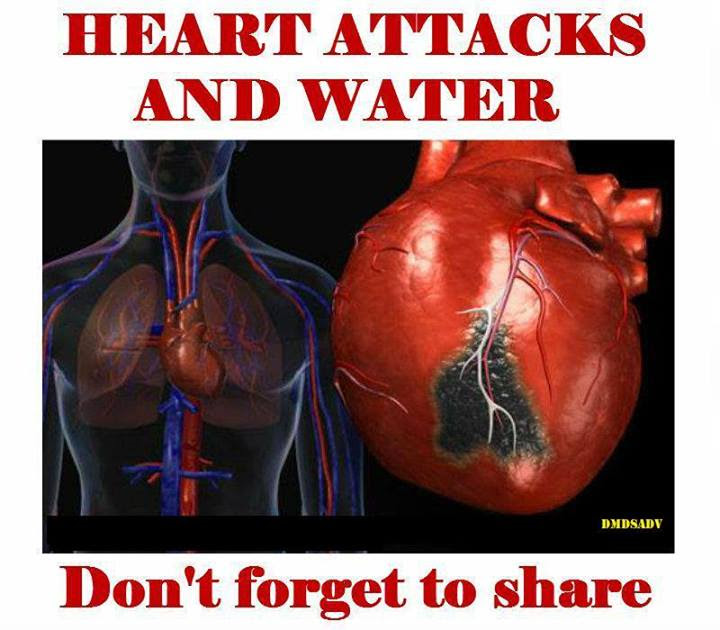 Heart Attack and Water – I never knew all of this ! is easier. This then ties in with the last statement! news to me. Correct time to drink water..
A Very Important. From A Cardiac Specialist! when they cramp and wake you up with a Charlie Horse. it gets old, it smells like vinegar). making crystal aspirin to dissolve instantly on the tongue. Why keep Aspirin by your bedside? It’s about Heart Attacks. are other symptoms of a heart attack, besides the pain on the left arm. and …DO NOT LIE DOWN! Do SPREAD this message. It may save lives!